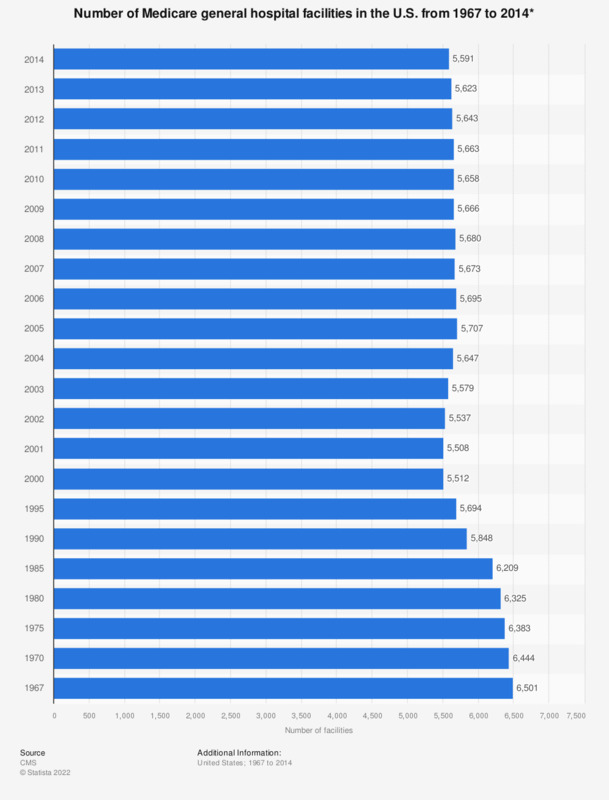 The statistic represents the total number of Medicare general hospital facilities in the United States from 1967 to 2014. In 2007, there were 5,673 general hospital facilities. In 2013, there were 50 less facilities. * Includes Medicare Part A (hospital insurance) and/or Part B (supplementary medical insurance). Includes short-stay and other long-stay hospitals.